What Can Singers Do for Lent? Many have already heard, from here and otherwise, about the reprinting of the Liber Brevior by Preserving Christian Publications -- which provided a much more economical way for most communities to gain access to the Sunday and festal Mass chants found otherwise within the much larger but far more expensive Liber Usualis. However, that edition was based on a 1954 edition which means that the revisions of Holy Week undertaken by Pope Pius XII were not to be found in that publication. As such, a very useful and economical resource was of limited usefulness during this period, the height of the Christian liturgical year. 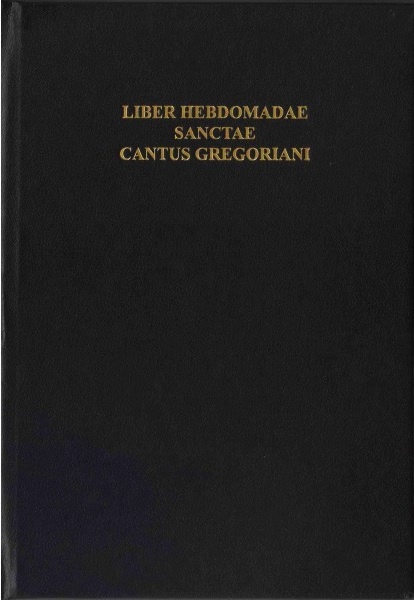 Fortunately, that gap has now been filled by Preserving Christian Publications with their publication of another volume, the Liber Hebdomadae Sanctae Cantus Gregoriani (the Book of Holy Week Gregorian Chant). The volume was recently sent to me by Preserving Christian publications and, as with the Liber Brevior, they have done a nice job with it. The volume is very similar in style to the Liber Brevior in fact, so those who have it can know what to expect. For the sake of those who do not, however, I can tell you that it is a very nice black hardcover with a single sewn in ribbon (which is sufficient for a volume of this particular purpose). 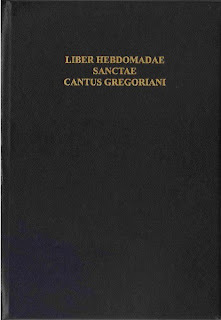 Another very useful aspect of this book is that the rubrics are in English, which will be useful particularly for those who are picking up the usus antiquior more recently; in fact, I would suggest it would likely be useful not only to the schola cantorum (which is the primary audience of this book) but also as a preparatory reference for the priest, altar servers and Masters of Ceremonies -- and at only $16 apiece, it wouldn't take much investment to have a few copies of these about in the choir loft and sacristy. The volume covers the liturgies of both the Mass and the Divine Office for the period covering Palm Sunday inclusive to the Easter Vigil.